If you have lost a loved one in an aviation accident the experienced injury attorneys at Jazlowiecki & Jazlowiecki Law will aggressively pursue your case to get you the highest possible settlement. The unexpected death of a family member from an aviation accident can leave a family with financial loss, medical bills, funeral expenses, and the loss of income can be financially devastating to your family. Aviation accidents are among the most difficult and traumatic tragedies to deal with. The experienced aviation lawyers at Jazloweicki Law know you will need help working through your loss, and we’re here to handle the complicated legal proceedings surrounding your loved one’s death. If you have a loved one who has been the victim of an aviation accident, contact us. 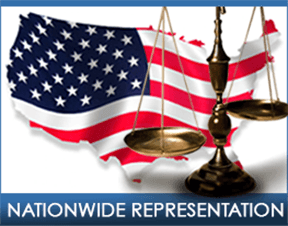 We are available for accident investigations and litigation throughout the United States. Do You Have A Aviation Accident Case? 50% of all aviation accidents are caused by pilot errors. 21% of all aviation accidents are caused by mechanical error. 21% of all aviation accidents are caused by bad weather conditions. 80% of all aviation accidents can be attributed to some type of human error. Pilots with less than 100 hours of flying time account for 45% of all fatal aviation crashes. Helicopter accidents crash statistics show a rate was 7.5 for every 100,000 flight hours.